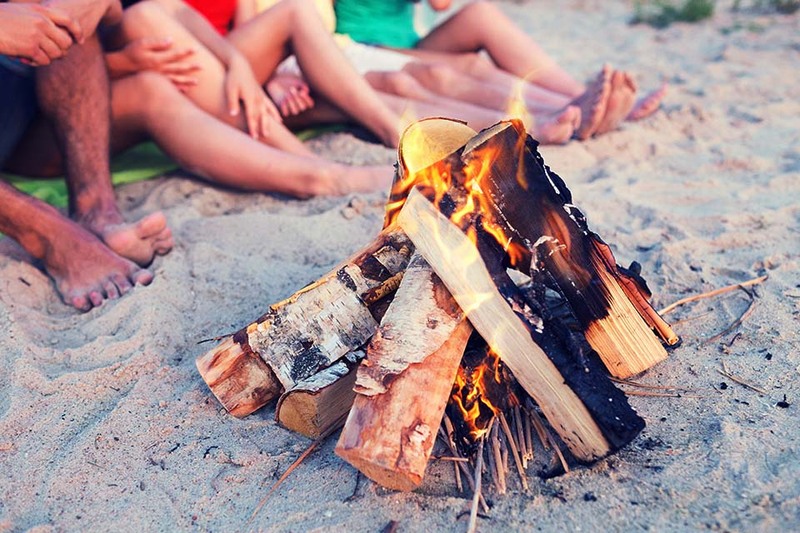 There are many things to love about summer, like the long hours of daylight stretching into the evening; escaping the city to eat al fresco under the stars and roasting marshmallows over an open fire. These parcels of moreish chocolatey goodness don’t make for the prettiest of desserts but they are definitely the most delicious. This dessert is one of the easiest recipes on our list and is great to make with young children while teaching them to be careful around the fire. The ingredients are travel-friendly and minimum washing up is required afterwards. You can be as inventive as you want with the fillings so this campfire snack can be reinvented time and time again. In the US s’mores are a hugely popular foody tradition and a staple of scouting trips and camping holidays across the country. In America they are made using Graham Crackers but we enjoy putting a British twist on this campfire treat by using digestive biscuits instead. Roast marshmallows over the campfire, then once they become soft inside and golden on the outside, pop them in-between two digestive biscuits with pieces of milk chocolate for a gooey sweet treat. While baked potatoes have long been an easy and satisfying campfire meal, those of us that like to mix it up, use sweet potatoes combined with chilli and seasoning. Bake your sweet potato with a chilli butter for a sweet and spicy meal that your family will love. Cutting your sweet potatoes in half before baking reduces the cooking time and will make them far less likely to burn in the high temperatures of the campfire. To make bread without yeast, or bannock bread, you will need a bowl and sticks or skewers to twist the bread around for cooking. This recipe has very few ingredients and is always one that is open to new ideas and interpretations. Try using whole wheat flour or adding honey to create different flavours and find which variation you like the best! For those of you with a competitive streak, why not host your own Great British Campfire Bake Off? Most recipes for campfire apples follow a similar theme. The received wisdom is that slices or whole peeled apples are sprinkled with cinnamon, wrapped in tin foil, then roasted gently over the fire. This easy recipe recommends coring your apples before stuffing the centre with dried fruit and nuts for a completely natural campfire snack. Anyone who has burned their mouth on an oven fresh apple crumble will know how the fruit retains heat so this is a perfect snack for the end of an evening when the temperatures start to drop. This recipe is taken from a US cooking blog and is a really great and original idea for a fun campfire snack. The tasty treat involves hollowing out an orange and using it instead of a baking tray. Filling it with muffin batter will infuse your cake with orange zest and save you a job washing up. 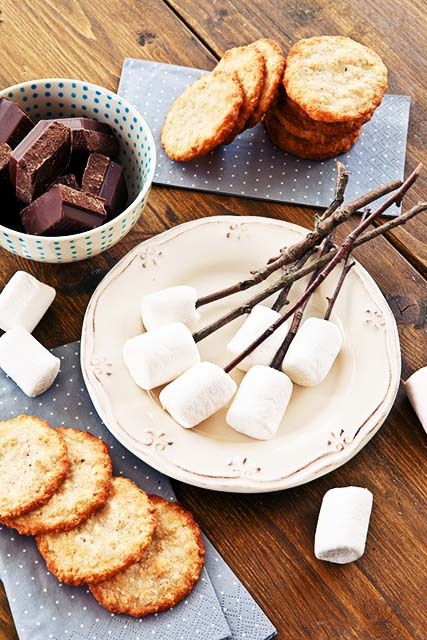 As with some of the other campfire snacks on this list you can easily experiment with the orange muffin recipe, we suggest replacing the blueberry muffin mix with chocolate cake mix for a delicious chocolate-orange fusion concoction for a sweeter campfire treat! Fancy something to drink alongside your campfire treats? Check out our woodland-inspired cocktails!